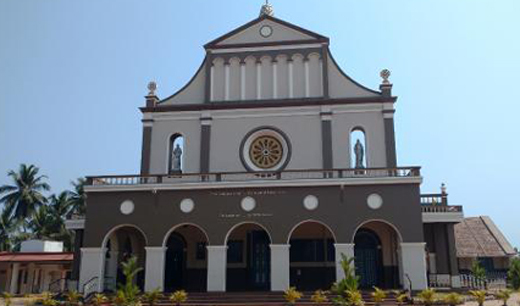 Mangaluru, Aug 15,2017: As per the local page of a national news paper, a member of the Urwa parish in the city, has filed a criminal case against the Urwa former parish priest Rev Victor D’Mello, who is presently the parish priest of Our Lady of Remedies at Kirem, near Kinnigoli. According to the complaint, Fr D’Mello has misappropriated over Rs 11 lakh allegedly after forging the will of parishoner Annie Pais, a spinster, and taking her thumb impression soon after she breathed her last on July 31, 2010. Urwa police have filed a criminal case against Victor D’Mello under Section 200 CrPC for the offences punishable under Sections 420 (cheating), 120 (B) (criminal conspiracy), 465, 467, 468, 469, 471 and 474 (all pertaining to limitations for taking cognizance of offences), based on a complaint by Winnie Pinto, the neice of one late Annie Pais. Cases have also been filed against Irene Lobo (a friend of Annie Pais, who transferred Annie Pais’ money to Fr D’Mello), Kevin Ajay Martis (then vice president of Urwa parish council) and Jenevive B Mathias (then secretary of parish council and also kin of Fr D’Mello). Both Kevin and Jenevive have signed as witnesses to the allegedly fake will. The last will (original) and testament of Annie Pais dated February 4, 2008 is in English and has all the details such as her moveable and immovable properties (‘A’ and ‘B’ schedule), cash at bank, fixed deposits, death bed charges and funeral expenses besides name of the person who drafted the will (C T J Gonsalves), notary (Clarence Pais), executor of the will (Joseph D’Souza), witnesses and signed by herself (Annie Pais). On the other hand, according to sources in police department, there are several loopholes in the second will as several details which are mentioned in her original will are missing in her “last will” dated June 18, 2010 (prepared 43 days before her death). Neither there is any mention about the person who drafted the will, executor nor the same has been notarised. In fact, there is no mention about her immovable properties, which are worth several crores, in the June 18, 2010 will. However, all details of all her FDs are mentioned in the will. Four major glitches : Four major blunders are pointed out in her “last will”. While the first blunder is that there is no signature of Annie Pais (who was very healthy, educated and celebrated her 84th birthday on July 11, 2010 with all her friends and relatives (20 days before her death), the second blunder is that there is left thumb impression of Pais in the will (as per the law, always a woman’s right thumb impression is taken and NOT left). The third blunder is that the first para of the will says that “details of immovable properties....” whereas there is no mention of even single immovable property in the will. Soon after the police filed the criminal case against the priest, pressure is mounting on complainants to withdraw the complaint. While a priest with a delegation visited the complainant, after his attempts to summon the complainant to church went in vain, a few others too have tried their level best to brainwash her. Why clergy is involved with such deeds such as IPC 420 ?? which church is this? Is it connected with the news as such?